Psychiatric illness is frequently complicated by challenges to adherence to the treatment plan. The care of patients suffering from mental disorders poses financial challenges for the individual, the family, and the community. However, focusing on direct costs alone is insufficient when considering the total financial burden of mental health disorders. These patients require accommodations in social support, education, housing, criminal justice, and social security systems. Chronic mental illness is frequently complicated by the presence of multiple diagnoses and the fact that these disorders progress and may become more disruptive. This is particularly true when the patient has comorbid physical illness, either as a preexisting condition or as a direct consequence of the psychiatric disorder. The size and scope of the economic impact of mental illness must be better understood in order to adequately allocate resources for patient treatment and support. 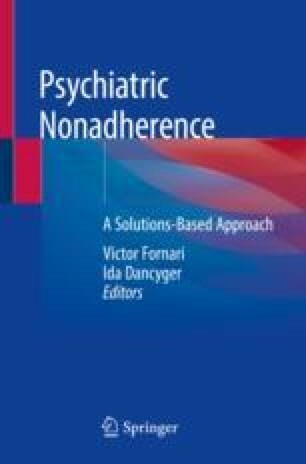 In the course of treatment, the mental health professional should also consider the patient’s ability to function with autonomy and minimize the non-healthcare impact of the psychiatric disorder. Eno Louden J, Skeem JL. Parolees with mental disorder: toward evidence-based practice. http://ucicorrections.seweb.uci.edu/2011/04/14/parolees-with-mental-disorder-toward-evidence-based-practice. 2011. Accessed 15 Nov 2018. Luthra S. Community paramedics work to link patients with mental health care. November 14, 2016:http://khn.org/news/community-paramedics-work-to-link-patients-with-mental-health-care/. 2016. Accessed 15 Nov 2018.